It’s that time of year again when we all start to think about which Christmas jumper to wear, what drink to have with our Christmas dinner and what to buy for Grandma who has absolutely everything. I loving putting the annual gift guides together, they are really fun to do and I hope you find some ideas for things to buy for others or to buy for yourself. 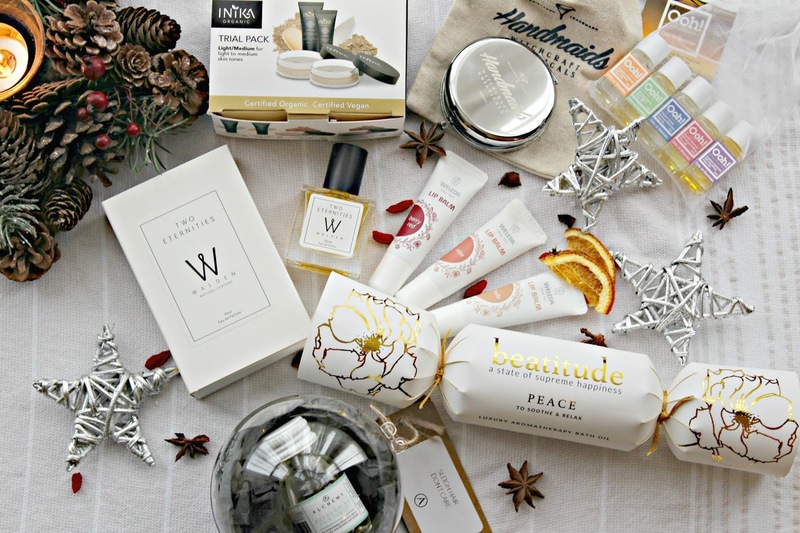 My favourite part of these gift guides is showcasing natural and ethical brands, there is an amazing amount of choice and it means you can choose something that not everyone will have. Walden Perfumes – Walden perfumes have a gorgeous selection of natural and cruelty free scents. Not only are the full sizes amazing, but they also offer sample sets and purse sprays that would be perfect for adding to a stocking this Christmas. In the photograph I have featured the Two Eternities purse spray, with Rose, Jasmine and Iris. 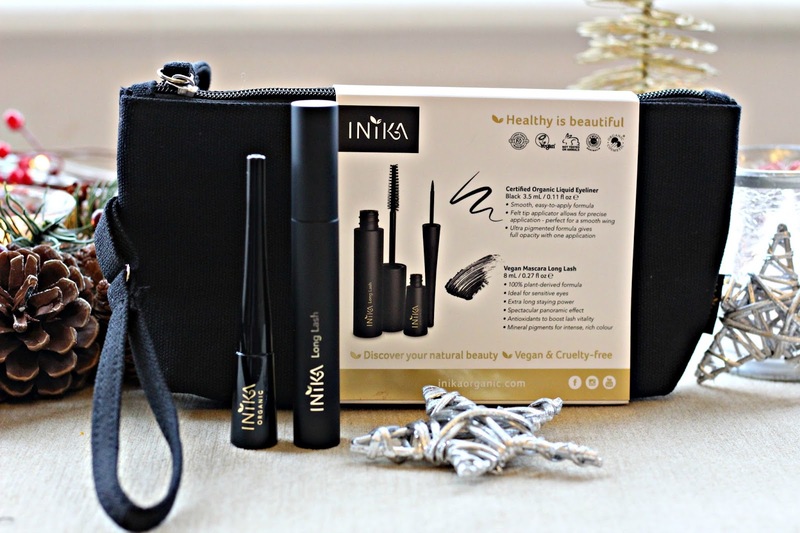 Inika trial pack – This little trial pack from Inika is a lovely way to introduce someone to natural and mineral make up. Inika is a really high quality brand, the whole range is vegan and cruelty free. This little sample set contains two different shades of mineral powder foundation, a sample of the liquid foundation and a sample of the Inika primer, everything you need to get started. Alchemy oils bauble – This sweet little bauble contains a mini sized Alchemy oils Hair remedy of your choice. This is a great gift for someone wanting to grow their hair, who swims a lot of simply as a stocking filler for someone who loves natural products. Weleda lip balms – I adore these vegan tinted lip balms, I think they would make an amazing gift for someone just starting out with make up and you can purchase them separately or as a cute little boxed trio. Handmaids handbag mirror – This little portable mirror from the brand Handmaids is so gorgeous and unique. I love the little fabric pouch and the mirror itself is just perfect for popping in your hand bag. You could even get this one engraved to make it extra special. Ooh Oils of Heaven gift set – Ooh Oils of Heaven have a really nice little selection of full and travel sized oils from around the world. There is a very sweet little boxed set, featuring five of their key oils which I think any beauty lover would enjoy. There are so many ways to use these oils and this is such a nice way to explore them. Beatitude Christmas crackers – These gorgeous little crackers from aromatherapy brand Beatitude each feature one of their award winning bath oil fragrances, in a lovely travel size, perfect for a pampering treat Christmas evening. A really sweet addition to any stocking. 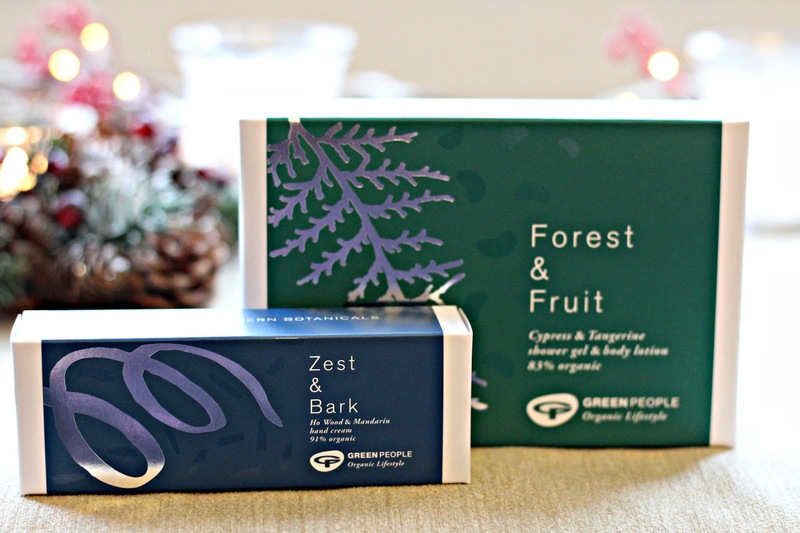 Green People always have some fantastic festive gift sets and this year they are supporting Plantlife a British conservation charity. There are sets for everyone, featuring some gorgeous botanical inspired packaging and Green People’s signature high quality products. Shop the Modern Botanicals range here. Isla has some beautiful boxed gift sets this year to indulge in. The Body and Soul Travel care kit features a lovely Reset ritual pulse point therapy, The shimmering Jasmine sunset body oil and the Lemongrass and Rosemary Foot scrub. All of these products are also perfect for getting ready for the party season, so would be a perfect treat to self. 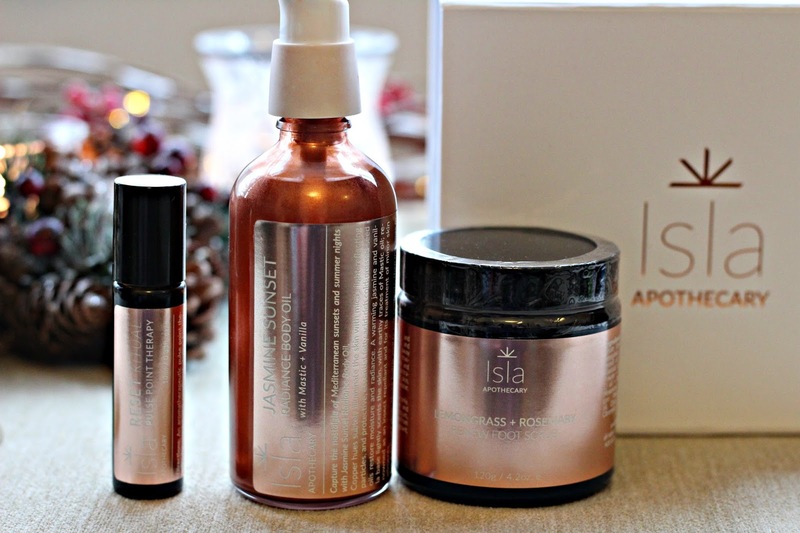 Shop the Isla Body and Soul Travel care kit here. Conscious skincare is a beautiful brand from Wales that makes wonderful natural products with really simple but striking packaging. The Indulgent mini-spa set features a really nice selection of travel sizes including my favourite body butter scented with Orange and Frangipani in an organic cotton wash bag, perfect for storing make up or skincare for travel. 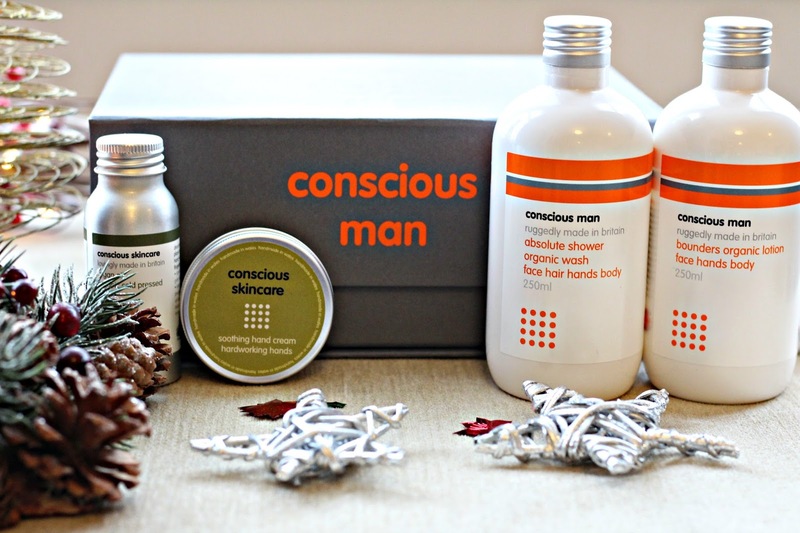 If you are looking for a gift set for a man in your life I was so impressed by the selection from Conscious skincare. The Luxurious body collection features a body wash and body lotion is a wonderful spicy scent as well an organic argan oil and hand cream. 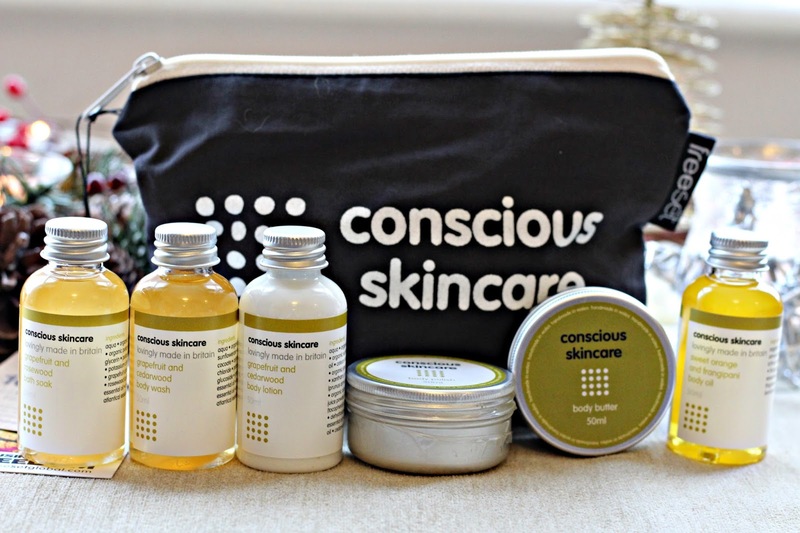 You can shop the Conscious skincare gift sets here. Some of the best make up gifts I have seen this year are by Inika, I brand I really love. The All About Eyes set includes their bestselling vegan long lash mascara and a brand new liquid liner, both perfect for those Christmas parties! You can find the set here. 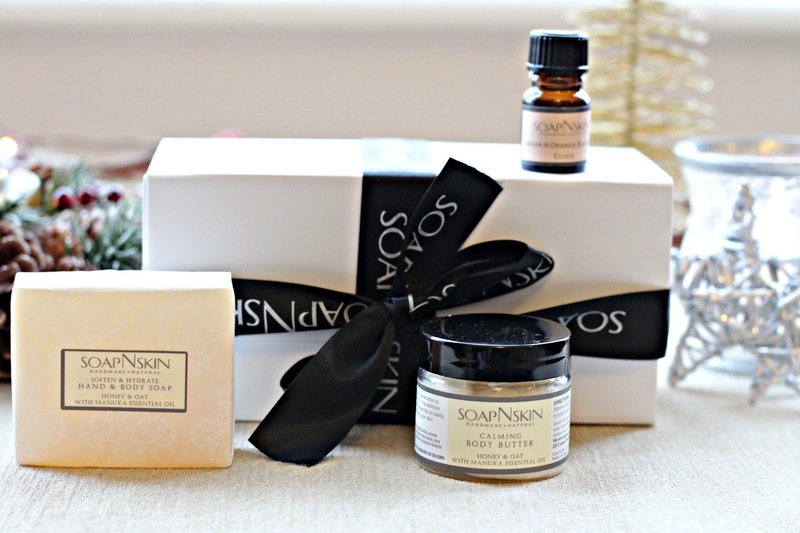 British brand SoapNskin have some wonderful limited edition boxed duos featuring their artisan soap and body butter. These gift sets are in partnership with Children’s relief Bethlehem, so they are a great gift that also gives back. Find them here. 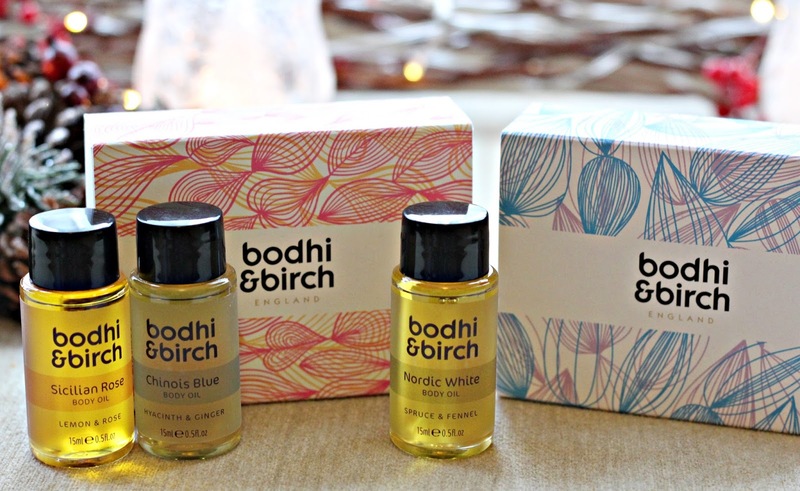 Two beautiful sets from Bodhi and Birch, one featuring their wonderful organic body oils and another featuring some exciting limited edition bath and shower oils. These boxed sets are perfect for introducing some to Bodhi and Birch and really perfect for anyone in need of a boost. Shop Bodhi and Birch gifts here. 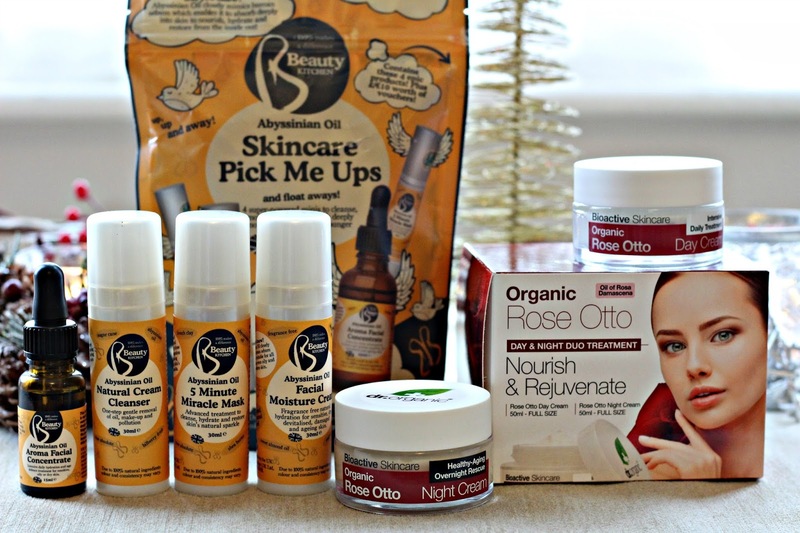 From Beauty Kitchen we have the Abyssian oil Skincare pick me up set, a really cute gift pack with generous travel sizes of their Abyssian oil collection as well as vouchers to spend at Holland and Barrett. I adore the Beauty Kitchen range and they have some really fun Christmas gifts this year. From Dr Organic we have the Rose Otto Nourish and Rejuvenate set, which has the Rose Otto Day and night cream duo, which smell incredible. 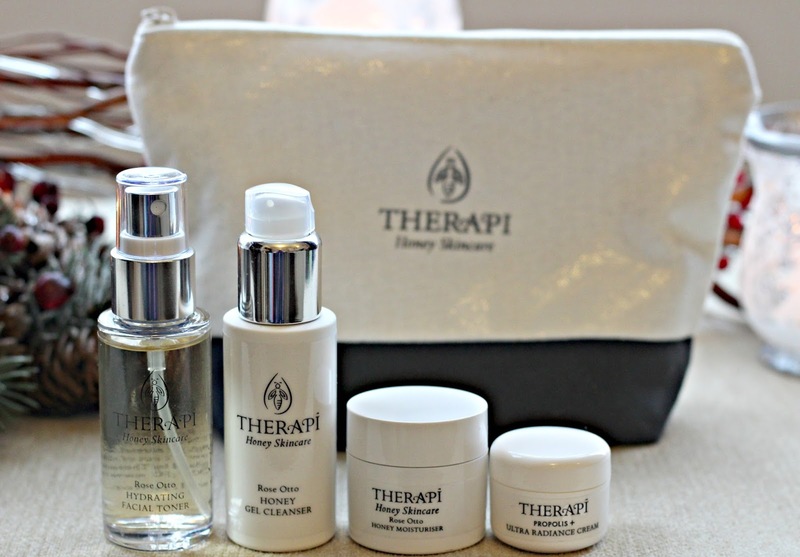 These lovely travel sets from Organic beauty brand Therapi are the perfect skincare indulgence. You can pick them up with this beautiful limited edition bag too. Therapi is a brand that features organic honey, propoplis and botanical oils, it will really appeal to anyone who loves organic ingredients. Shop the Therapi sets here. 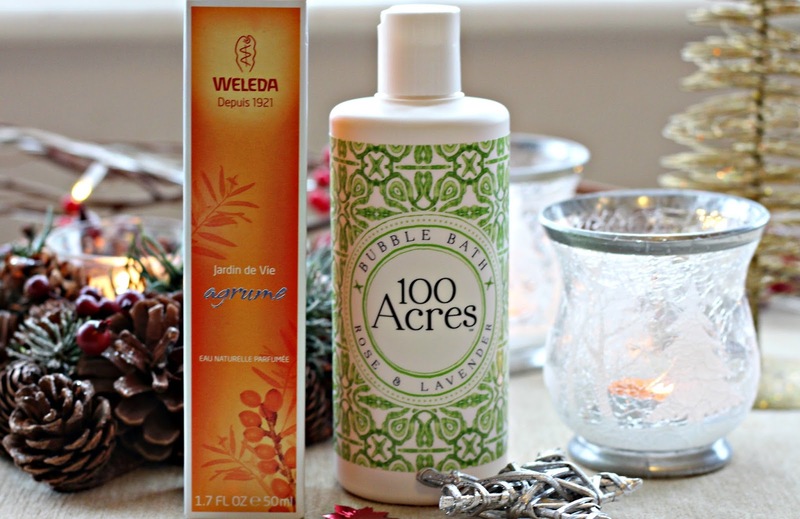 I love the Weleda perfumes for a fantastic affordable natural beauty gift, they come in four scents and are brilliant value for money for a perfume that is made with all natural ingredients. They would look fabulous under the tree this year. For anyone who likes to indulge in a bath, I am a big fan of the 100 Acres Rose and Lavender bubble bath the gorgeous scent and botanical packaging make it a really nice option for gifting. I love giving and receiving candles and home fragrance at this time of year, I think it makes a home really cosy and festive. 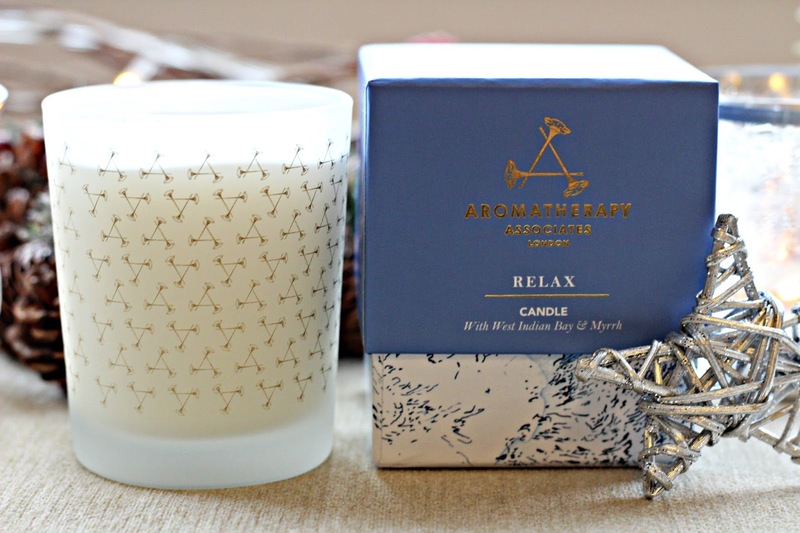 The Aromatherapy Associates Relax Candle is a gorgeous scent and makes a perfect festive gift thanks to the blend of West Indian bay and Myrrh. 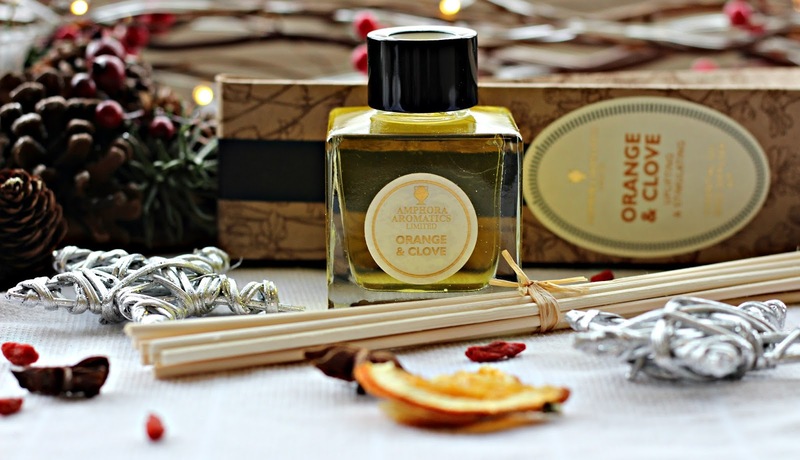 This gorgeous Orange and Clove Reed diffuser from Amphora Aromatics is the scent of Christmas in a bottle. They come in a lovely gift bag so are perfect for giving, but their home fragrance range is also one of my favourites for scenting my home at Christmas. They have a wonderful selection of natural candles and reed diffusers that are well worth a look. I hope you enjoyed this gift guide and have found something you love. Post contains some PR Samples and affiliate links please see my full disclaimer for details.